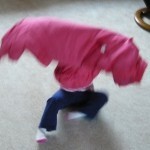 I strongly encourage teaching children to be independent at daily tasks. 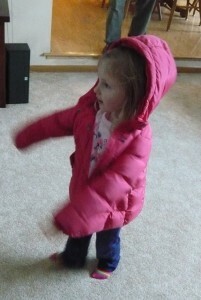 If you live in a place that gets cold, every parents knows how tedious putting children’s coats on becomes. 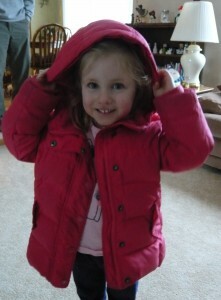 By age 3, it is reasonable that children get their own coats on (not zipped or snapped, but at least on). 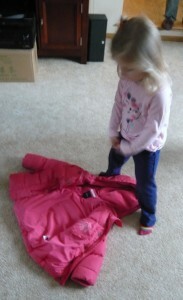 However, the spatial awareness to get a coat on is hard to learn for young children. 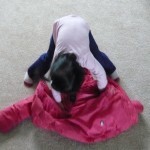 I learned from a kindergarten teacher a trick that helps young children master this task- the coat flip. The typical problem that occurs is that kids forget to stand by the hood side, but this can be corrected through practice. 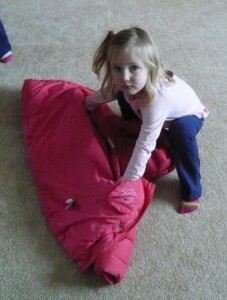 Even a 2 year old can do it! 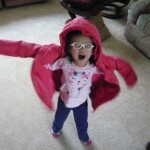 Pairing the coat flip trick with my previous post on how to help your child put their shoes on the correct feet can greatly increase children’s independence with dressing for outdoors (and decrease the demands on parents!). Paige Hays is an occupational therapist who provides in-home, pediatric occupational therapy services in the south metro area of the Twin Cities, MN. She is a mother of 2 girls, avid DIYer, and a highly skilled and experienced OT. She specializes in working in pediatrics, with diverse expertise ranging from cognition and sensory issues to working with children with neuromuscular disabilities or complex medical needs.